Ray H. Booher, 90, of New Martinsville, WV died Friday, November 16, 2018 as the result of an automobile accident near Pentress, WV. Ray was born January 1, 1928 in Big Battle, Doddridge County, WV; son of the late John H. and Nellie (Cork) Booher. He was a retired supervisor for the former Ormet Corporation, a U.S. Marine serving in WWII where he earned a Purple Heart, loved being with his family, hunting and raising Quarter Horses, member of New Martinsville Moose #931 and Mason Lodge No. 39 A.F. & A.M. He served many years on the Town & Country Days Board. Ray was a member of the Immanuel Baptist Church. As a result of the wreck his son, Danny Ray Booher, Sr. and daughter, Patricia “Patty” Hawkins passed with him. 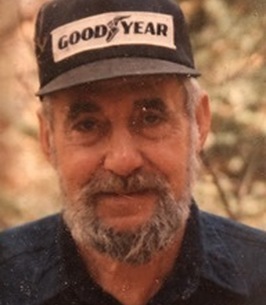 In addition to his parents he was preceded in death by three sisters, Irene, Maxine and “Peach”; half-brother, Darryl; grandson, James Ray Booher; son-in-law, John C. Hawkins and companion, Suzanne Walton. Surviving are his wife, Anna Belle (Stackpole) Booher; son, Richard (Debra Smith) Booher of Coraopolis, PA; daughter, Kimberly Booher; daughter-in-law, Christine Booher; half-sister, Shirley Siffon; eleven grandchildren, thirteen great grandchildren; Suzanne’s children, Christy (Dennis McDowell) and Scott and several nieces, nephews and cousins. Private funeral services will be held at the convenience of the family. Honor Guard and Masonic Lodge will conduct graveside services. Burial will take place in Paden Memorial Garden in Paden City, WV. Memorial contributions may be made, in Ray’s name, to WV Autism, 277 Bennett Drive, Weirton, WV 26062. To send flowers to the family of Ray Henry Booher, please visit our Heartfelt Sympathies Store. Additional Information	Memorial contributions may be made, in Ray’s name, to WV Autism, 277 Bennett Drive, Weirton, WV 26062. We encourage you to share any memorable photos or stories about Ray. All tributes placed on and purchased through this memorial website will remain on in perpetuity for future generations. Our prayers and deepest sympathy are with the family during this difficult time. Please accept my prayers and deepest sympathy for your loss. PRAYERS FOR ALL THE FAMILY. MAY YOU FIND PEACE IN THE LORD. Will never forget all the times at the horse shows, we all made a lot of good memories. Spent a lot of times at your place growing up very sad. My heart hurts so much. Ray knew my love of horses when I was a child growning up. Many times I was at his house in Porters Falls and he would let me ride his horses. So sorry for you loss, friend growing up, was close to family God bless and hold you tight.